Insulation is not a new thing, as you might expect. It was born out of our desire to keep warm and insulating techniques have been around for thousands of years since we left caves and started building our own homes from wood and stone. Insulation, loosely speaking, is anything that helps retard the flow of heat and we are very used to it nowadays, around pipes, up in the loft, and in our walls. 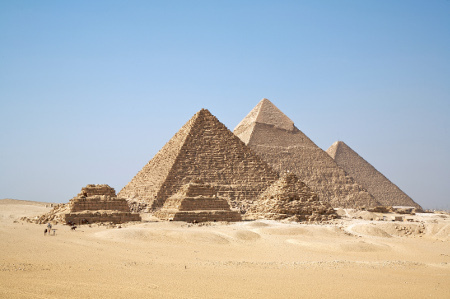 The Egyptians were masters at building – the pyramids are a testament to the ingenuity. They were one of the first civilisations to create thick stones made of mud that blocked the desert heat and kept dwellings cool in the daytime but warm at night when temperatures would drop considerably. Although, today, we all think of asbestos as something toxic, the Ancient Greeks not only gave it a name but used it to put in their homes because of its mystical heat resisting properties. The Greeks were also the pioneers of using air gaps in walls to provide better insulation. The Romans liked their comforts and they were the kings of innovation from road building, creating coins to buy things with, aqueducts to transport stuff, and public heated baths to wash in. They also found a novel way of insulating pipes that carried hot water by wrapping them in cork. Mud chinking was the name of the game with the Vikings and many of the Nordic races, countries where we know the weather was pretty cold for much of the year. Mud was plastered between gaps in the wooden buildings to stop those nasty draughts. The people in the Middle Ages were fond of hanging stuff like tapestries to help keep out the drafts, but by this time building technology had also improved. That doesn’t mean if you were transported back in time you wouldn’t be feeling damp and cold because they hadn’t yet discovered double glazing. With the rise of steam power, there were plenty of hot pipes that needed insulating during the industrial revolution, partly to keep the heat in and partly to protect workers. For this, industry went back to the world of asbestos to wrap pipes. For more than a century asbestos was used as one of the main forms of insulation and it wasn’t until the health issues were raised in the mid-70s that it stopped being the technology of choice. Did the Scots Invent Double Glazing? There is some evidence that the Scottish invented double glazing way back in the Victorian Era as a way to cut down the draughts in their large estates. The technology may well have made its way to the US in the 1930s but there is also evidence that an American, C D Haven, invented double glazing which he called Thermopanes. In the main, the UK didn’t start to get into double glazing until the mid-70s and 80s when it became the must have luxury for middle class families. It was, however, far too expensive for many poorer families. Perhaps one of the major advances in insulating our homes in the last 30 years was the increased use of polyurethane foams for filling the cavities between walls. Whilst this made our homes much more energy efficient it was actually a technology that was first invented back in the 1940s in the United States. It would seem strange to us nowadays that only a few years ago there were plenty of houses without double glazing, loft and wall insulation, or boiler lagging. We have become much more aware, and probably less hardy, over the past decade or so, used to having warm, draught free homes. We also realise that all this insulation helps to keep our fuel costs down. With the need to reduce our carbon emissions there have been plenty of government initiatives in recent times that give the chance for all of us to improve our home energy efficiency. Modern new builds now come with a range of insulation that makes them virtually air tight and highly energy efficient. Whilst for many insulation is about keeping ourselves warm in winter, it also has a big financial benefit. A well-insulated loft can save as much as £150 on your fuel bills over a year. Cavity wall insulation can hand you back another £150 in an average sized house. Ever since we discovered that heat rises, households have been trying to find ways of insulating the loft as a way of keeping warm. In days gone by that was achieved by laying newspaper or goose down on the floor of the attic, or filling it with junk. Nowadays, we realised the benefit of having specially made insulation that cuts down our energy loss. There are many different types of insulation now available on the market and you can find out about the different types here.